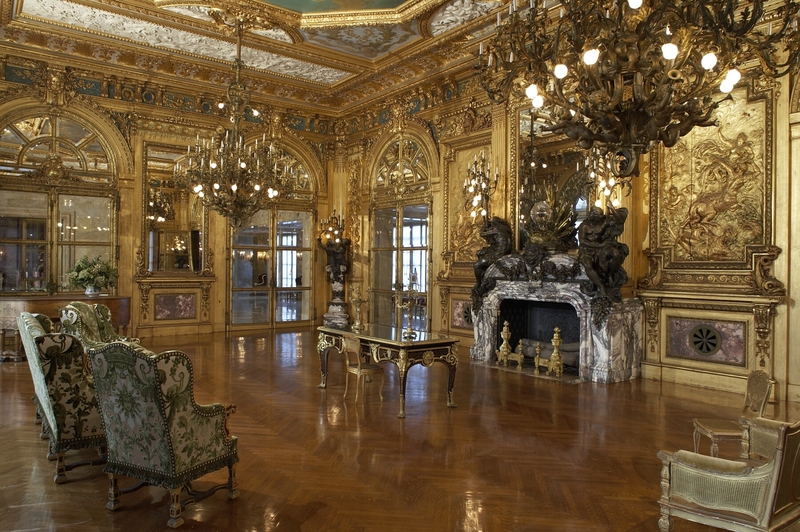 The flaunting of wealth that marked the Gilded Age is difficult to grasp. Forbes reports there are currently 425 U.S. billionaires, the most in any country. They tend to live in cocoons, flinching when the media write about their vast homes or other trappings of wealth. 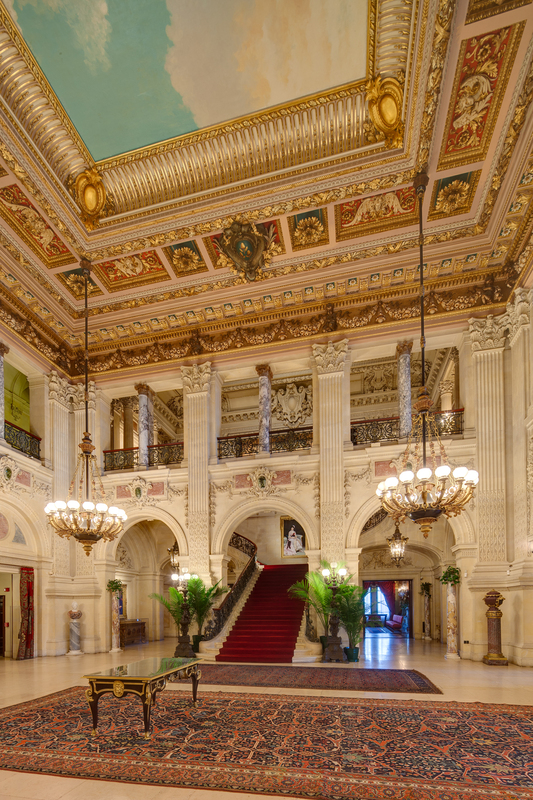 Enjoy this photo tour of The Breakers and Marble House! Newport’s most spectacular homes were built by two grandsons of the steamship and railroad magnate “Commodore” Cornelius Vanderbilt. 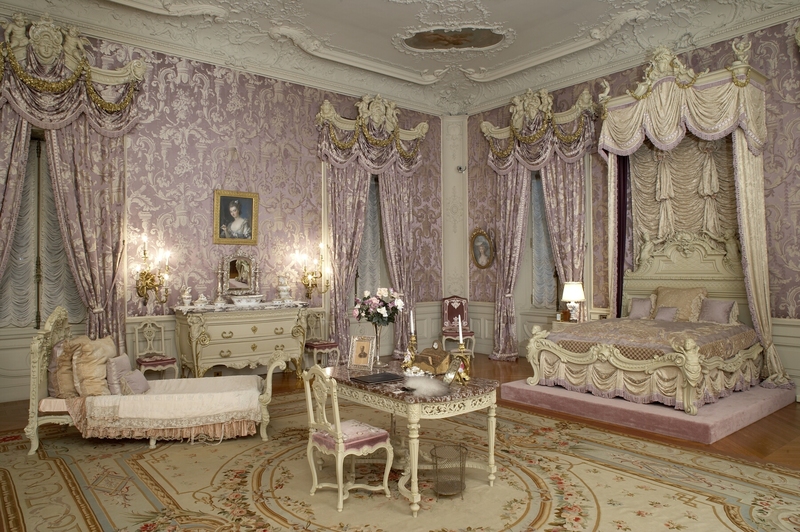 Cornelius Vanderbilt II introduced his “summer cottage” to high society with a 1895 debutante party for daughter Gertrude, officially putting his $75 million fortune on grand display. 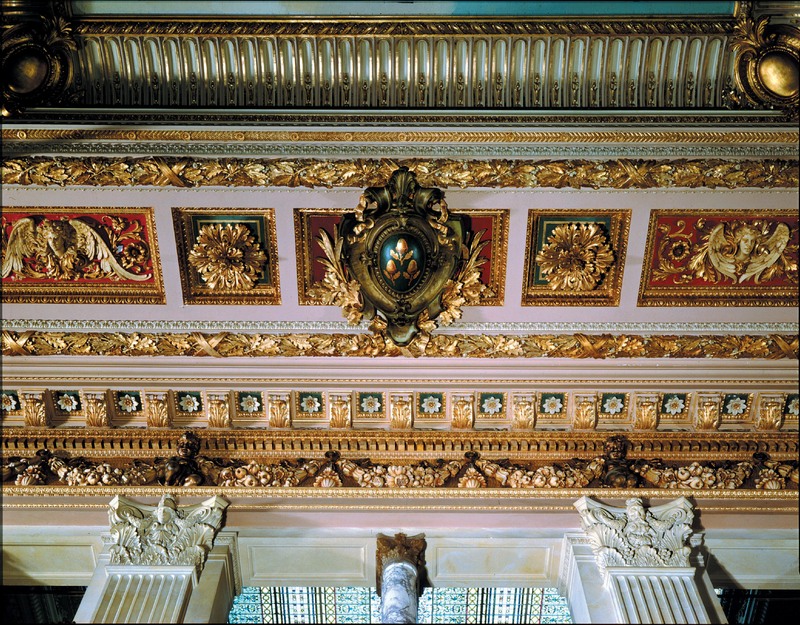 Mark Twain coined the term “Gilded Age” in the 1800s, and it wasn’t a compliment. The immense wealth and lavish spending of the period also inspired another term: “conspicuous consumption,” something even the middle class strived for at a time of economic optimism. Each Italian tiled floor or detailed carving, indications of enormous wealth, held meaning. For example, a seashell motif appears throughout the tile mosaics in the floors of the seaside mansion. This acorn and oak leaf medallion is the Vanderbilt family symbol, representing strength and longevity. 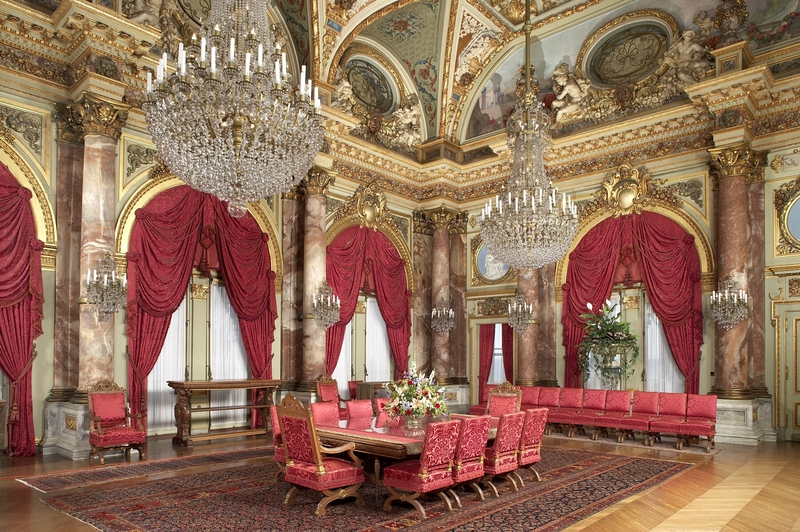 Guests of Cornelius Vanderbilt and wife Alice Claypoole Gwynne Vanderbilt dined under these Baccarat crystal chandeliers. Forty servants were employed to run the house – servants also accompanied the guests. Prior to completion of The Breakers, William Kissam Vanderbilt – Cornelius’ brother – had built Marble House to “outstaff, outdress, and outparty” his peers. 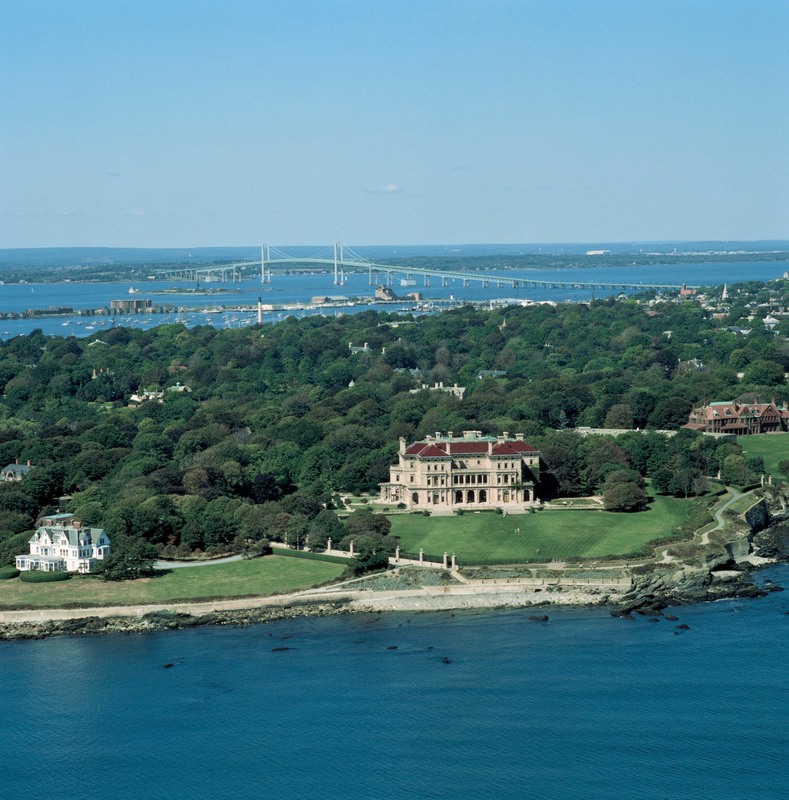 The Newport Mercury newspaper updated town residents on the progress of construction of one of the most palatial mansions of the Gilded Age. It had 500,000 cubic feet of imported marble. Wealth meant power. Wall panels depicting Greek and Roman gods – covered in 22-carat gold leaf, applied by hand – represented virtues of beauty, wealth and power that the Vanderbilts wanted to be associated with. 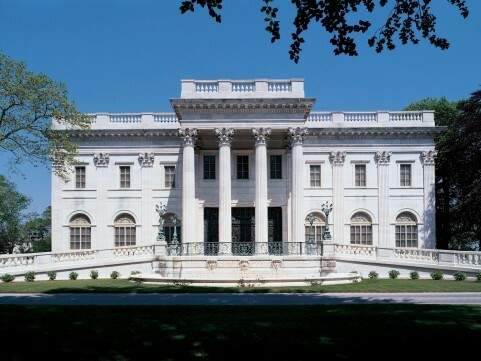 William built Marble House for the 39th birthday of wife Alva, a social climber from Mobile, Alabama, who made her daughter marry a British duke she didn’t love. Chambermaids and other servants worked long days to please the family, changing bed sheets twice a day and constantly washing clothes that were changed numerous times each day. Captions were written based partly on information provided by The Preservation Society of Newport County and in an audio tour during my July visit to Newport.